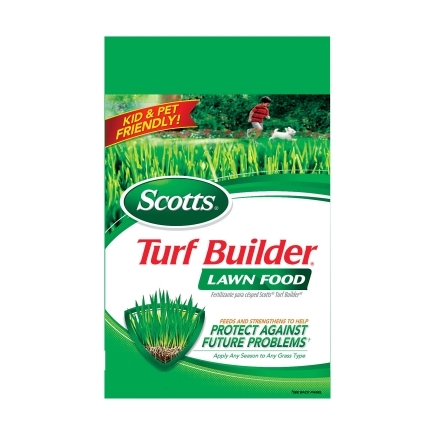 Scotts Turf Builder 32-0-4 Lawn Food For All Grass Types 37.5 lb. 15000 sq. ft.
Are you looking to build a thick, green lawn, use Scotts turf builder lawn food formulated with the all-in-one particle to provide an even greening and feeding. Using Scotts turf builder lawn food thickens your grass to crowd out new weeds. It also feeds and strengthens your lawn to help protect it against future problems. Apply Scotts turf builder lawn food any time, during any season.